The father of Hearst Lumberjacks coach-general manager Marc Lafleur passed away on Wednesday afternoon. Raymond Lafleur was known as the no. 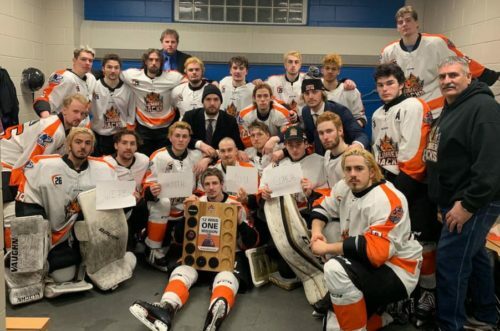 1 fan of the Lumberjacks — and the players on the Northern Ontario Jr. Hockey League team went out and won their playoff game on Wednesday night for their coach’s dad. A 5-2 road victory for Hearst over the Powassan Voodoos on Wednesday evening gave the Lumberjacks a three games to none lead in their best-of-seven East Division final. After the Game 3 triumph, the Hearst team dedicated the victory to Raymond Lafleur and relayed the following message. “We dedicate this win tonight to our #1 fan Mr. Raymond Lafleur. The thoughts and prayers of the Hearst Lumberjacks hockey club are with Coach Lafleur and his family. Our entire organization offers our sincerest and most heartfelt condolences. “Mr. Raymond Lafleur was not only a great man that contributed immensely to the Hearst community but he was also the Lumberjacks biggest fan. “May you gather strength to know that the entire Hearst Lumberjacks community is grieving your loss. Our thoughts and prayers are with you during this difficult time. 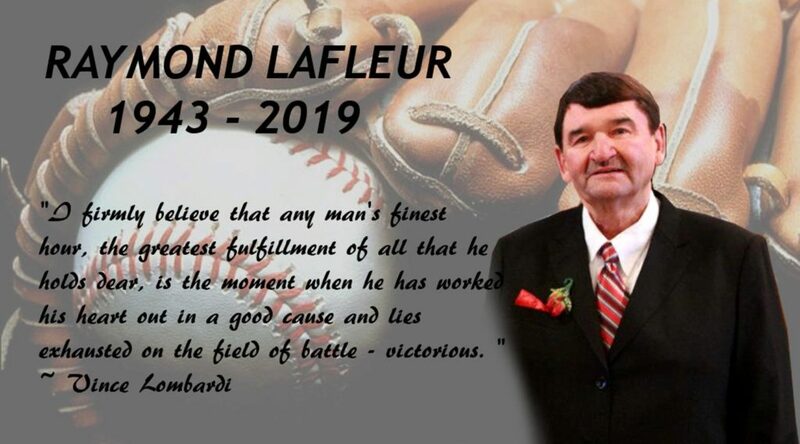 “Please Mr. Lafleur, keep an eye on us, you will forever be in our hearts. Sincere condolences to the Lafleur family. As a former resident of CochraneI have fond memories of Ray as a pitcher for the Cochrane Commandos. Glad to hear that he inspired the Hearst Lumberjacks to victory. I am sorry to note the passing of Marc Lafleur’s dad. I can see how the fruit does not fall far from the tree. My sympathies to the Lafleur family.